Gyokuro Hoshino originates from outside of the lush Shizuoka Prefecture. 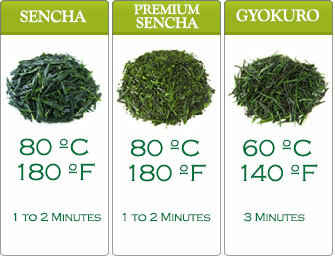 Japanese tea experts will know that at the mere mention of Gyokuro Hoshino. 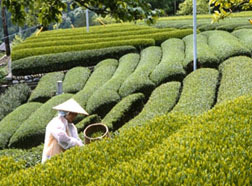 The Gyokuro Hoshino that we bring to you is exclusively sourced from Shizuoka. That’s because we don’t want to compromise on the star quality and exceptional taste of this tea. It’s named Gyokuro Hoshino because it is harvested in Hoshino Town, in the Fukuoka Prefecture. 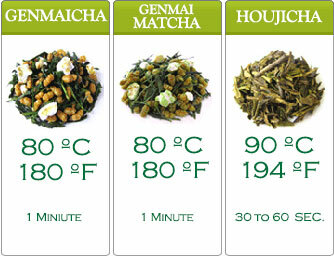 This is a delicate, fine tea as how Gyokuro tea is in a broader definition. Admired as the highest grade of Japanese tea, Gyokuro tea is virtually unrivaled.Its leaves are intentionally left to grow in the shade for twenty days. The leaves are then expertly handpicked. Immediately after picking, the leaves are steamed, dried then carefully rolled. The end product of Gyokuro tea distinctively resembles pine needles. Gyokuro is harvested annualy, in early spring. 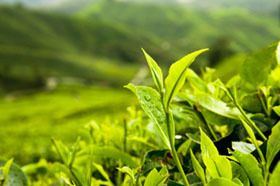 It’s remarkable delicate flavor and aftertaste makes it sought after by green tea connoisseurs. We regularly use the USPS, Japan Post and UPS. These shippers are highly efficient and we rarely have problems with them. 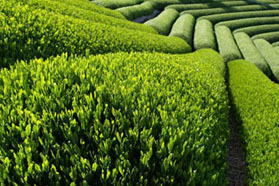 For three consecutive years the Shizuoka Prefectural Government has contracted a certified independent agency to test, in its own laboratory, green tea for radiation harvested from all parts of the region. Each year all of the samples tested safe for human consumption in accordance with USA (USDA), European Union, Australian and Japanese government standards. No unsafe tea has ever reached any consumer. With the health and well being of consumers in mind, the Ministry of Health, Labor and Welfare of Japan has set strict safety standards for green tea. The report “Results of Tests for Radioactivity of Tea Produced in Shizuoka Prefecture in 2013” is available for your viewing at the link below. The samples tested were for “brewed tea” which is the state it is actually consumed. The test results for all the samples were nearly the same. Radioactive Cesium 134 and 137 were near zero while the safety limit is 100bq/1KG. Shizuoka green tea has once again been certified to be absolutely safe for your consumption and enjoyment. The 2013 report is in Japanese language only but understandable to non speakers and can easily be translated by Google or Bing Translate. The first column of the report lists the number of areas tested. The second column is the type of tea tested. The third column is the name of the area tested. The fourth is the tea harvest date. The final three columns display the test results of Cesium 134, 137 and Iodine measured in bq/1KG. Genuine Japanese Green Tea, 100% Satisfaction Guaranteed! © 2014 JapaneseTeaFarm.com. All Rights Reserved.